Teen Stress	ManagementStress ManagementWhat is Stress? Stress management techniques and how to recognize and reduce stress, solutions to make life more positive and productive. How to manage stress and depression by using easy techniques to lead a positive and happy life. During the course of our life, we encounter stress, some in high levels, some in low. But what exactly is stress? It is the result of placing undue expecations or desire on ourselves, creating images of ourself and trying to live up to the image that has been created by others. When we compare the image of ourselves to the reality of ourselves, opposing forces are created, and our mind tries to match the created image with the current situation. Stress can be made worse by other peoples expectations, and being human we always care what others think of us - even though we tell ourselves that we do not. We try to change ourselves so that we can be accepted by other people, regardless of whether or not they care. Negative thoughts about our self image also add to the stress. We remember everything that we have done in life, but more so the negative ones. We re-live those negative moments over and over again in our minds, lowering our self esteem. The first thing we have to learn is that what has happened in the past cannot be changed, or erased. All we can do is take the lesson we learnt, and learn not to do it again. What happens in the past is exactly that, passed, and we must learn to live for now. Research has proven that the experiences that we have encountered over the years are likely to cause diseases which do not manifest until later on in life. The death of a spouse or a truly loved one causes the highest level of stress, followed by divorce and a marital separation. The conflicts intertwined with relationships with people close to you cause you the most stress. As humans, more of our time is spent working compared to any other awake activity. Occupational stress is a result of a factor or a combinations of factors at work. It impacts the worker, disrupting their psychological or physical wellbeing. It can be caused by a number of factors including work overload and stimulus underload. Work overload results from the burden of excess work. It may also be caused by the ambiguity of the task required of the worker. Stimulus underload happens when there are not enough tasks for the worker to undertake. It can cause job dissatisfation, post traumatic stress syndrome, and increase the level of cholesterol and the heart rate. Relationships have been proved to be one of the more important aspects of our human life, especially to our psychological and physical well being. Thus if someone who you truly cherish passes away, your social network begins to disintegrate as feelings of loneliness start to take over. This is because as humans, we need the warmth and love that relationships bring to us and the removal of one of these relationships can be heartbreaking. 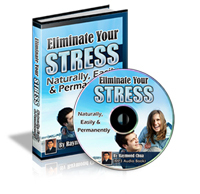 Diseases - Stress has been the reason for 50-80% of diseases. Insomnia - The inability to fall asleep. Hypertension - High blood pressure, which can lead to lethal complications. Aging - Research has proven that people age faster when they experience more stress. The word "stress" perhaps is one of the most used terms today. Everyone experiences stress one way or another. Stress is not the main concern but how one handles it. Stress is already a part of life and so the only question is how it is managed. Some go through it with flying colors while some just break down and fall from all the pressure. Managing stress differs from one person to another but there are the basics that one can do to learn what will work for him. The first thing to do is to think of the things that bring stress to one's life. There are so many possible causes of stress. Some reasons may not be easily identifiable and so one must open his eyes even wider. There are different types of stresses. There are the temporary ones, the inevitable ones, and the ones caused by external factors. Classify stress accordingly to know how to manage them. Knowing that a current cause of stress is temporary will give reassurance that it too shall pass and there is no need to make it worse that it really is. External source of stress can be easily managed as long as one knows and loves himself. External factors can be really difficult to manage but as long as one knows that they are the factors that he has and will never have control over with then it can be let go. Lastly, the inevitable factors are those part of one's everyday life like his own work, family, or personality. When it comes to stresses caused by things one cannot avoid, the change must start within him. This is very difficult as there are so many arguments within oneself that can and will happen. All these factors that cause stress are not easy to manage. Stress management is easier said than done but it still must be done so that one can still enjoy his life to the fullest. Stress management starts with the admission that stress really affects how one lives his life. Stress management starts not when one removes stress in his life but when he starts living with it. Starting a stress journal can help a lot. Jotting down thoughts and the actions made regarding stress can help in analysing situations and how one usually copes with stress. Writing in a journal may seem too childish and not fit in this fast-paced world but it is still the most helpful method there is. Stress is not something all negative. Those who are able to properly manage their stress have able to use it as a driving force in living their everyday challenges. People can be stressful, and so is work, and family, and love. Stress can come when things do not go as planned or when people oppose one another. Stress happens every day and so to manage it one must admit that there are factors that are beyond his control. If one learns to be patient on things that opposes him then stress management will be much easier. You are the master of your own future, you can achieve whatever you wish, determination and positive thoughts will become the beacon for the path to success. Do not allow fear to hinder your progress. Our mission is to sustain healthy stress free living. The information provided on this website is for self-awareness and educational purposes only. It should not be used as a replacement for professional advice in any way. 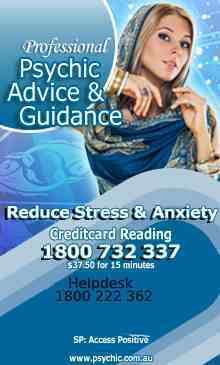 Copyright © 2017 Stressmanagement.com.au. All Rights Reserved.